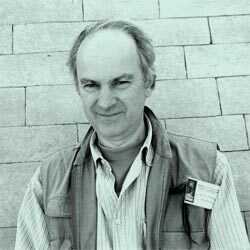 In this photo I am wearing my badge as a delegate to the Eighth International Congress of Egyptologists, which took place in Cairo in 2000, at which time I made one of my visits to the Sphinx pit. Visiting Professor of Humanities, History and Philosophy of Science, University of Louisville, USA 1999 - 2002. Visiting Research Fellow, Archaeological Sciences Institute of the Aegean at Alexandria, Egypt (from 2000). Visiting Research Fellow of the Department of Mediterranean Studies, University of the Aegean, Rhodes, Greece (from 2000). Senior Visiting Fellow, Centre for Science, Technology, and Society, Tsinghua University, Beijing (from 2001). Visiting Professor of the History and Philosophy of Science, Tsinghua University, Beijing (from 2001). Joint Director of Project for Historical Dating (with Professor Ioannis Liritzis of Greece). Project commenced August, 1999, with archaeological permissions granted so far by Egyptian, Italian, and Greek Governments. Visiting Research Fellow of the Archaeological Sciences Institute of the Aegean at Alexandria, Egypt (see above); Member of British School of Archaeology at Athens and British School of Archaeology at Rome.